The marketplace for the best talent management platforms is maturing on a daily basis, getting more and more crowded with excellent software tools for a variety of use cases, verticals, deployment methods and budgets. Traditional talent management providers continue to offer recruiting and onboarding capabilities that have remained staples to the market since widespread adoption of HR software began more than a decade ago. Disruptive newcomers and new customer trends are bringing new technologies to the table, however, so that organizations can take full advantage of data. There are large providers we refer to as ‘mega-vendors’, like ADP, Oracle, SAP and IBM. There are also the lesser-known innovators with interesting products that play in niche areas, such as HealthcareSource, Workday, Saba Software and SilkRoad. In an attempt to assist you with what can become a daunting task of selecting the right product, these are the top-24 best talent management platforms for 2018. 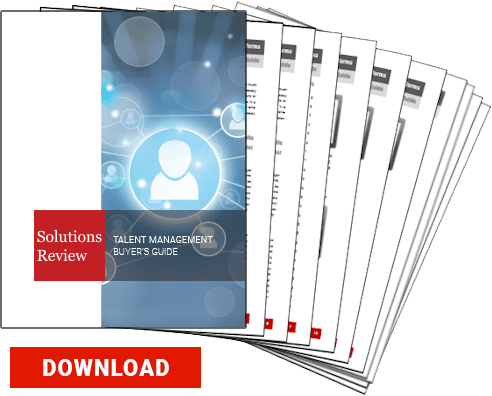 If you find this helpful, be sure to check out our Talent Management Buyer’s Guide, which features key capabilities to look for before purchasing, steps to take before implementing the talent management solution, a comprehensive overview of the market, and full, one page profiles of the top talent management vendors, including our “Bottom Line” analysis. ADP helps you develop your workers so both you and they grow together in the long run. Their talent management offering, ADP Workforce Now, is an integrated HR solution designed for medium sized businesses. The software comes equipped with benefits, payroll, talent management, and time & attendance features. The software is also notable for their very strong security practices. They provide SAS 70 Level II audit reports that show they have a good corporate environment. Cegid, formerly Technomedia, offers integrated, cloud based SaaS talent management solutions that provide businesses with the tools for communication between employees, managers, and candidates. The software is ideal for businesses within retail and point-of-sale industries. Users are able to access the system through both desktop devices and mobile devices. Manage your workforce from hire to retire, with a modern talent management suite designed to fit your industry best practices. The Haufe Talent Management Solution allows you and your organization to concentrate on the most important goals. You will enable smooth cooperation between HR, management and employees and sharpen the focus on effective collaboration. What separates Haufe’s Umantis software from other Human Resource vendors is that it offers clients the ability to have it installed directly on their servers for those organizations that would prefer to maintain a strong degree of control with the assurance of greater security. 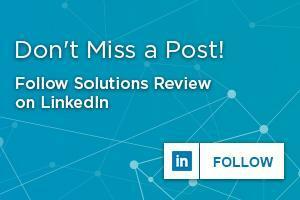 HRsoft is the industry leader for compensation planning and total rewards software. Their cloud-based SaaS solutions combine best of breed features with an intuitive, easy-to-use interface that simplifies and automates the entire compensation process helping companies save time and their best employees. HR Soft provides organizations with a powerful HR system focused on simplifying acquisition and talent management. The web based platform gives users a modular system that includes performance management, compensation, and total rewards communication and applicant tracking features. an AI-powered talent management solution that engages candidates in personalized career discussions, beyond their qualifications, and recommends positions that fit them best. HR Software from Lumesse infuses Talent Management by providing employees with the tools, needed to drive their learning and development. The company’s talent management offering is a leading cloud-based talent management solution used by over 2,000 businesses across the world. It provides a fully integrated, customizable talent management solution which includes Core HR, recruiting, onboarding, learning, performance management, compensation management and more. The Lumesse talent management platform assists businesses in developing a successful talent management strategy that meets their unique business needs and technology across the whole enterprise. Meta4 is a privately held corporation that offers on premise-and SaaS solutions for HCM and payroll. While the software has traditionally focused on human resources, they’ve made broad steps in the talent management arena adding a number of features including recruitment, compensation, and performance management. Meta4 cloud solutions offer HR professionals state-of-the-art technology with the best possible user experience for managing the complete employee cycle. This all-in-one solution exploit cloud benefits to overcome all the challenges of human capital management, while increasing business productivity and efficiencies. NetDimensions is a global provider of learning, knowledge and performance management solutions for Highly Regulated Industries. The company provides companies, government agencies and other organizations with a talent management suite to personalize learning, share knowledge, enhance performance, and manage compliance programs for employees, customers, partners, and suppliers. NetDimensions talent management suite is divided into four services; Learning, Exams, Analytics, and Performance and offers a paired mobile application: Talent Slate. PeopleAdmin is the leader in cloud-based talent management solutions for education and government. The PeopleAdmin talent management offering, SelectSuite, provides users with the tools required to maximize operational effectiveness and minimize risk. Organizations can simplify and automate their hiring process and monitor employee performance, while also building and retaining compliant audits. SumTotal Systems, LLC, a Skillsoft Company, is the world’s only Learning, Talent, and Workforce Management integrated system. SumTotal’s award-winning suite enables organizations to discover, develop and unleash the hidden potential within their workforce and entire business ecosystem. SumTotal goes beyond traditional talent management and HCM applications, offering contextual and pervasive HR solutions that help improve employee performance in real-time.